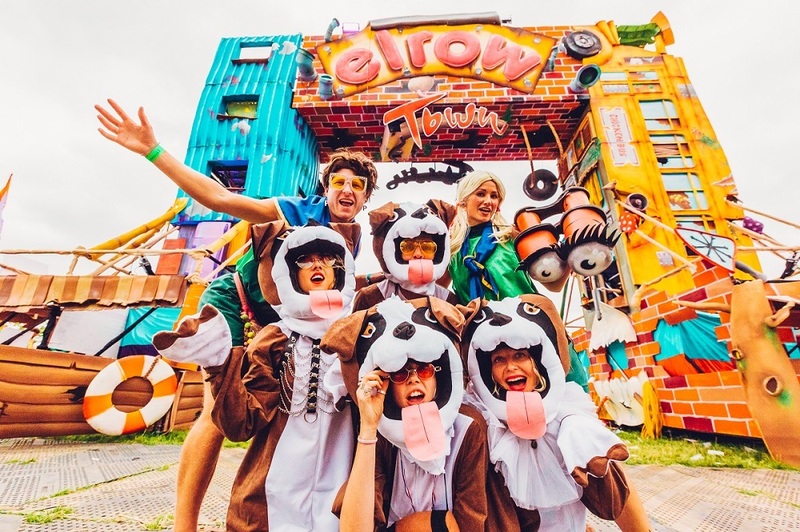 Elrow Town set up in London for a second year as the immersive Spanish party concept took over a corner of Queen Elizabeth Olympic Park on Saturday, August 18th and Sunday, August 19th. 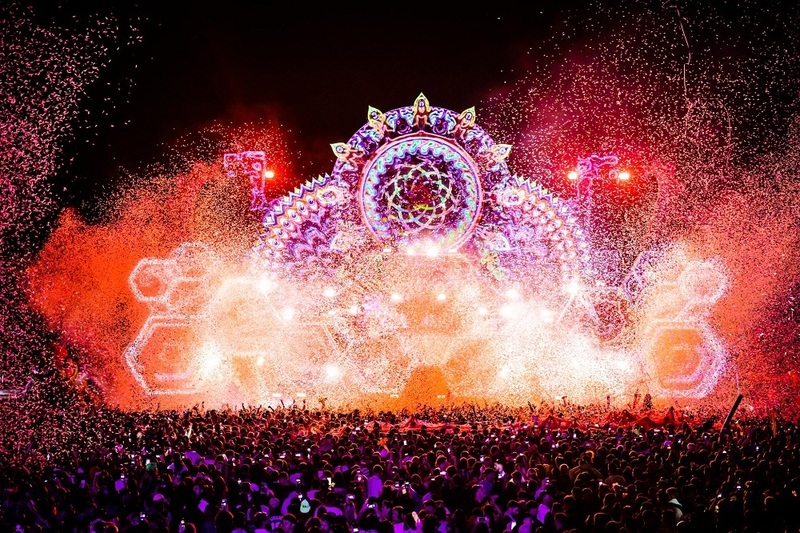 More than 35,000 revellers got to enjoy music from acts such as Fatboy Slim, Solardo, Paco Osuna and Steve Lawler while exploring the Elrow Town littered with wacky characters at the Psychedelic Trip main stage, tented Sambodromo Do Brasil arena and Absolut Pink Cathedral. Mike Barnard and Ann McManus took up residence on the Saturday. The audience was as equally colourful as the main stage, only with a whole lot more glitter on faces, necks, arms, chests and, well, everywhere. 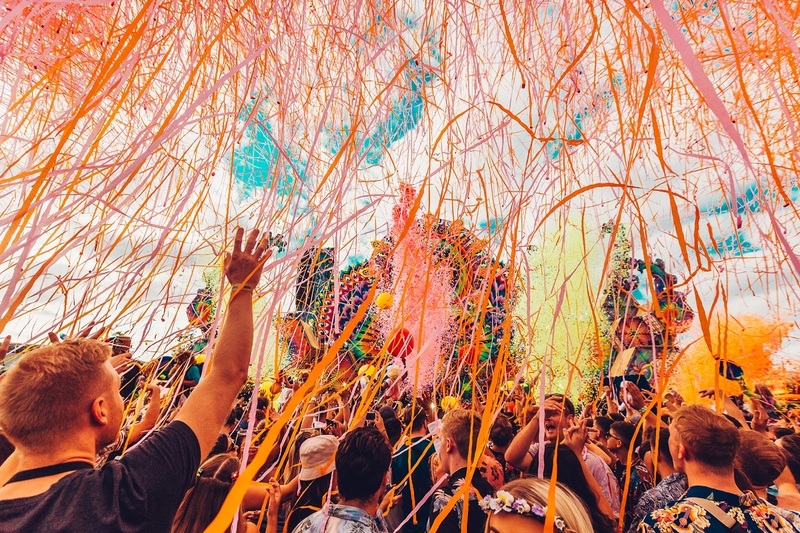 He Said: “Elrow Town’s dizzying array of colour, characters and confetti means their events are always far more about getting involved in the action and feeling part of the environment than many dance music festivals which expect DJ worshipping or take a very serious approach. 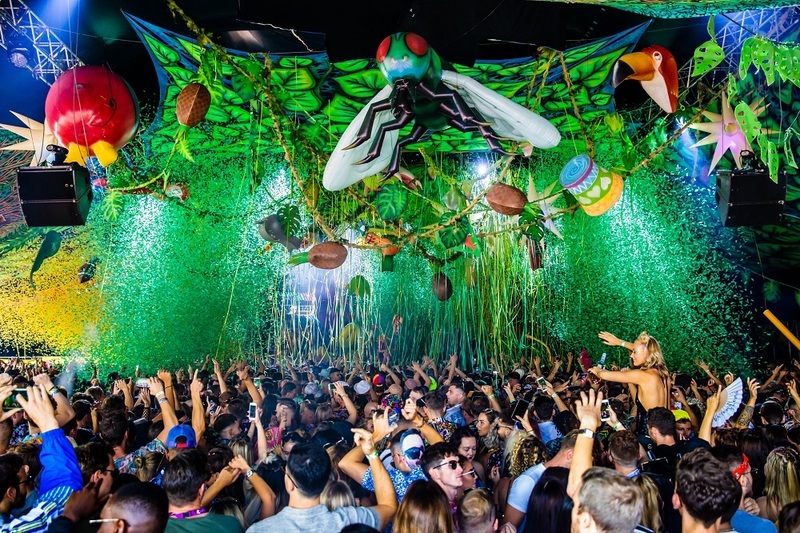 Elrow is always about fun, and the Saturday in Queen Elizabeth Olympic Park had it in spades. 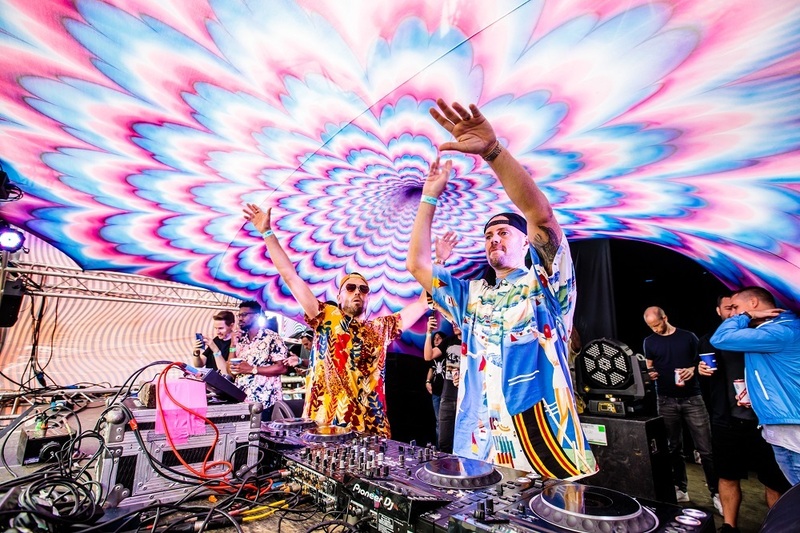 “We arrived to the sounds of weekend guests Solardo blasting out some plinky-plonky techno from the main stage – a kaleidoscope of fluorescent paint evoking the theme ‘The Psychedelic Trip’. The multi-level structure was alive with dancers fist-pumping the air with wacky props as the DJing duo mixed with smiles on their faces. Looking around at the crowd near the Arc de Rowomf, an archway centrepiece, those smiles were everywhere to be seen, as well as all myriad of theme-echoing outfits that ensure the audience was as equally colourful as the main stage, only with a whole lot more glitter on faces, necks, arms, chests and, well, everywhere. “We took up a spot at the Gin Bar to let the visual stimulus settle - something of a live-action, acid-induced dream – then got properly involved with Paco Osuna’s set. Around us we spied dancing frogs, giant inflatable beasts pumping out confetti and a huge bug towering over the crowd with gymnasts hanging from its arms. A quick detour saw us led into The Cave – a tented space decked out like a jungle for the Sambodromo Do Brasil theme – where waFF were serving up some suitably samba-based house, but we were lured to the Absolut Pink Cathedral to get our skates on at the Bump roller disco and enjoy a blend of disco and techno. “Found at the heart of the Elrow Town surrounded by stalls, the inflatable pink cathedral with was like a beacon of light. Entry through the white church gates we handed over our trusty trainers for some classic roller skates and then bowled ourselves onto the dancefloor to the sounds of Rhythim Is Rhythim’s ‘Strings of Life’ and Floorplan’s ‘We Magnify His Name’ with varying degrees of success surrounded by pros in wedding dresses and getting a few smirks from the Bump crew who were on hand if we really lost control. The good-time vibes created by DJs Chaka Kant and Rory Phillips for Savage meant we stuck around at the bar drinking cocktails after our session while we watched fellow skaters stumble or impress us with their moves as drag queens strutted their stuff; even by Elrow standards, this was an assault on the senses. The piece d’resistance was The Town Square, a huge open-air dance arena facing a giant fully stage decked out in hallucinogenic patterns with various platforms for multiple balconies that entertainers would pop up on and get up to all sorts throughout the sets. She Said: “It’s been a long summer and London has been spoilt with parties and endless opportunities to go out dancing. While it’s made everyone happy, weeks and weeks of events in the summer sun have resulted in an energy deficit among a lot of the party goers. To pull crowds in, something vibrant and new needed to break the slump. Cue Elrow Town. Before entering the settlement Elrow had constructed in Stratford’s Queen Elizabeth Olympic Park, it was evident the crowd were embracing the inevitable nonsense that had been promised with props and fancy dress all over-the-top. It was like a Carnival-Halloween clash, with all sorts of mad one pieces, wigs of all colours and glitter EVERYWHERE. 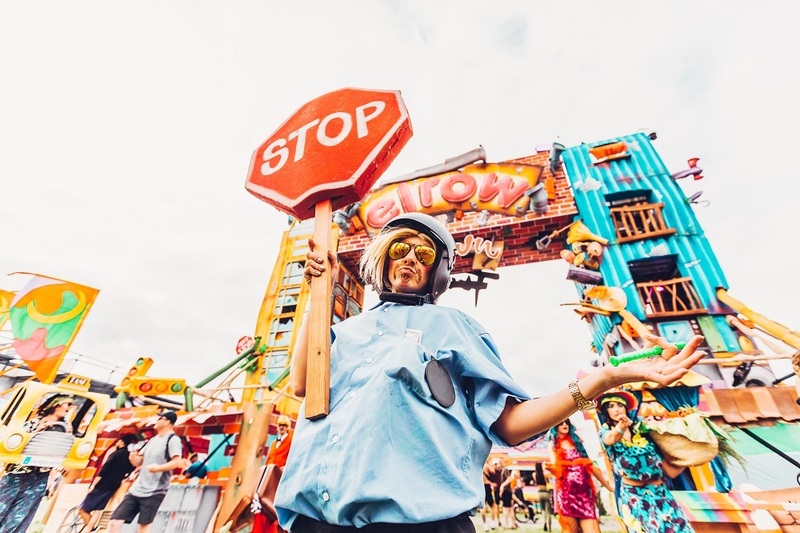 “Elrow town was running for two days and Saturday’s theme was ‘Psychedelic Trip’ so vibrant colours and 60s inspired props were key. Entering the backstage area, I was particularly amused by a guy dressed up as a messiah with long hair and a cloak briefing a large group of entertainers all dressed in the most outlandish costumes – from broken banjo player with a feisty afro and red flayers that were short enough to show off a pair of mismatched stripy socks; to a pair of ladies in naked caveman bodysuits and an assortment of hippy outfit. Parked beside them was a trolley with a neon coloured coffin. This was backstage, during a briefing, so you can only imagine the madness due to unfold when they went into action up front. “In a bid to not get injured by roller skating before getting on the cocktails, the first stop was the inflatable purple Cathedral where a roller disco was taking place. Everyone was delighted with the snazzy selection of glittery boots provided, and helping one another take the first step off the bench provided a good ice-breaker as well as an opening to ask for a crew photo. Skating and fist pumping to Floorplan almost made me a casualty, but I just managed to keep my cool inspired by the flawless dancers in drag who were busting serious grooves with sass and style. #skategoals. 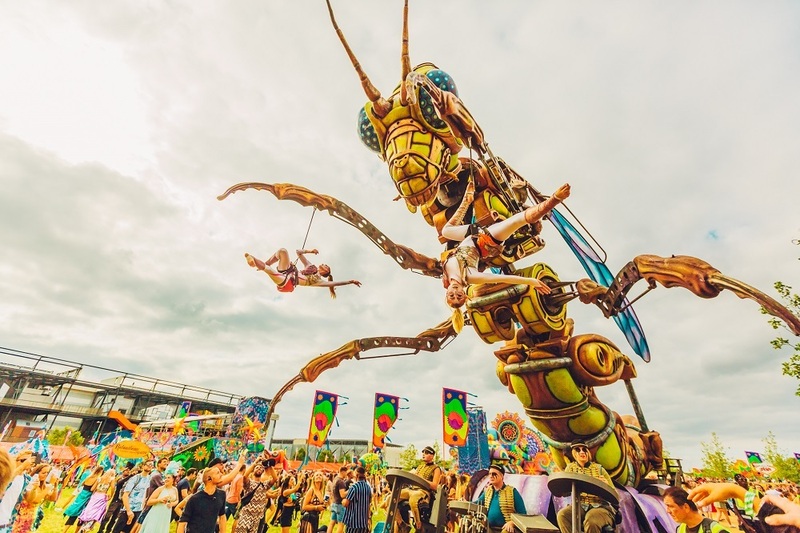 “The piece d’resistance was The Town Square, a huge open-air dance arena facing a giant fully stage decked out in hallucinogenic patterns with various platforms for multiple balconies that entertainers would pop up on and get up to all sorts throughout the sets. This was home to a funky house sound all afternoon, hosting sets from special guests for the weekend, Solardo, plus Paco Osuna, Toni Varga and Bastian Bux. Ritchy Ahmed – ‘Can’t Stop Us’ blasting out as a stilt-walking tambourine player with a braided wig in bunches wandered through the crowd from one side, while a 15ft green bottle fly contraption was wheeled around the other side of the arena with a pair of trapeze dancers dangling from its outstretched arms spinning around in the air is my lasting image of the stage in full effect, followed shortly after by the eruption of a multi-coloured confetti cannon. “The jungle set-up in The Cave housed a darker indoor scene, with the tent ceiling extravagantly made up with hanging branches, birds and exotic animals. 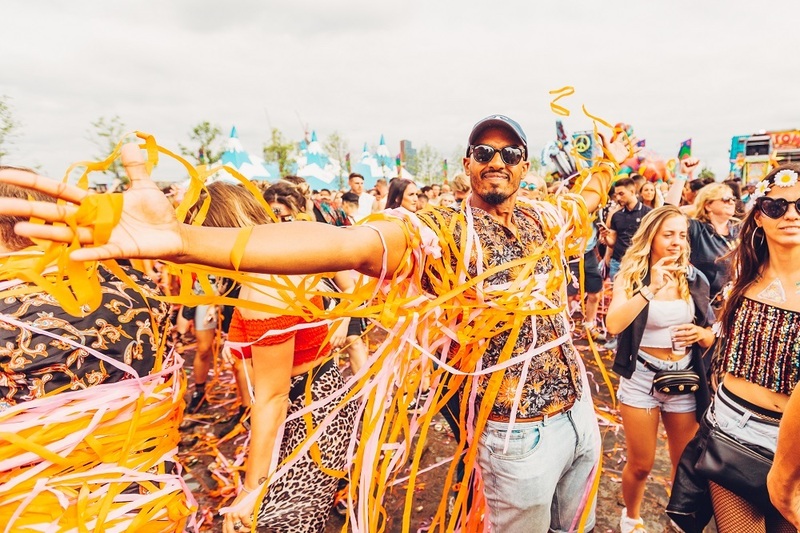 Ritchy Ahmed spun out a bouncy set accompanied by stunning dancers dressed in crystals and feathered bikinis, sending out the traditional elrow shower of inflatables which got the crowd even more hyped. Steve Lawler followed with an energetic sequence, setting the space up for a spectacular close which featured him dropping Chemical Brothers – ‘Out of Control’. 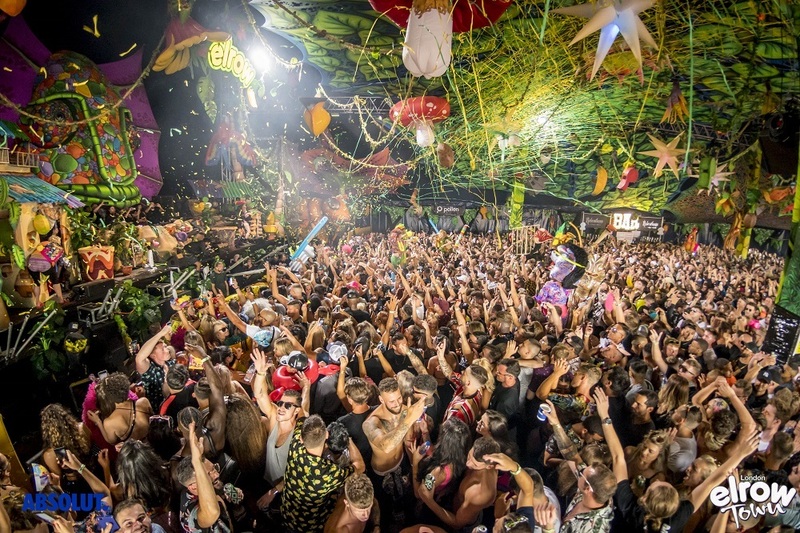 Next up for Elrow in the UK is transforming Newcastle’s Times Square with their magical Enchanted Forest theme on Sunday, August 26th. For tickets and details go to elrow.com.